Don't think I'll comment on that one, Augusto. Did you see what happened with Vincenzo Nibali at the Tour de France? That was tragic. «Crucifige, crucifige! ---------------------------------- «Crucify Him, crucify! contradice al senato». --------------------------------- so is our law confessed!». Last edited by McAngus on Wed Sep 12, 2018 9:02 am, edited 1 time in total. in the image 9961591V1 there is also a small horse's head next to a duck's head (female, coquettish, as in a Disney cartoon). Let me know if you can see them. I ignored them because I'm lazy. In fact, the greatest difficulty in realizing a "weird" consists in finding a compatible image, preferably in the web, preferably ready to be overlapped, preferably without manipulation. Sometimes that research takes a long time. 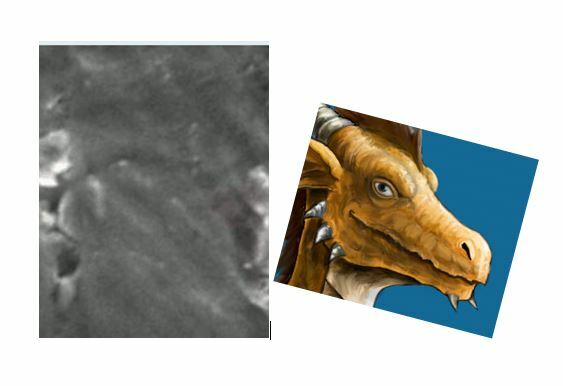 I figured it couldn't be too easy, and just experienced the pain myself, because I don't see a duck, but I do see a dragon. However, you're right, finding the exact matching image of what you see in your mind is truly difficult! This is why I consider you the MASTER!!!! Hey, I see the duck and the dragon! - but my first thought on the dragon was that it was another cow. Wow, don't get me started. I agree, Dan, Augusto is clearly a Master. Thanks for Master, what about Commander?